In a Nutshell: Every subscription business has different operational and administrative demands, and the biggest pain point revolves around the complicated process of recurring credit card transactions. 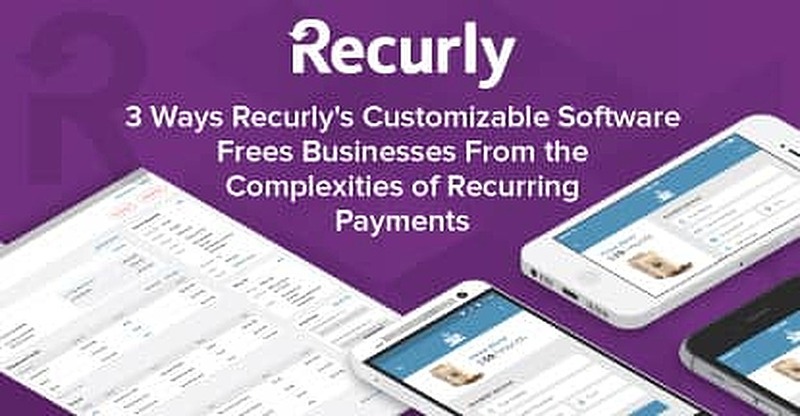 Rather than spend time finding a “close enough” business software to suit specific needs or developing a franken-collection of widgets here and there, Recurly removes the complexity of recurring billing with its enterprise software as a service platform. Recurly makes subscription payment automation painless with its flexible platform, ease of use, and plethora of insights, thanks, in part, to third-party integrations and a fully customizable backend. Businesses thrive on data — from what drives a customer to buy to how they buy to what they want next — and they especially need to know how to stay relevant so customers share, for example, the “unboxing” of their curated goods. So, if you want to ship boxes of cool stuff — purrr-fect pet treats and toys, cult classic beauty products, gear geeks will go ga-ga over — to thousands of subscribers each month, you want to focus on sourcing your cool stuff. You don’t want to worry about double-checking credit card transactions for failures, manually billing your customers every 30 days, or scrambling to ensure billing is accurate when a customer upgrades or downgrades your service. While the companies most people think of when they hear the word “subscription service” is the box-of-cool-stuff business, services like Netflix, Spotify, and even a local health club also need a streamlined method for their recurring billing automation. No matter the magnitude of your customer base, teams of any size need help with secure, customizable, all-in-one billing automation. Enter Recurly. On our call, Frederick Felman speaks so passionately about Recurly that he almost misses his next meeting. We all had such busy calendars, so the only time we could chat was a 30-minute window on a recent Wednesday afternoon. In just 28 minutes, he detailed how Recurly is changing the way subscription-based companies manage recurring billing. By the time we were hanging up with Fred, we were impressed with what Recurly offers businesses. Recurly was born from a simple question — how can we help make subscription-based businesses better and more efficient? When Founders, Isaac Hall and Dan Burkhart, investigated the issue, they found layers of complexity, especially around recurring billing. Their goal then became to simplify and better automate that process so businesses could focus on their core competency, their business. Frederick Felman, or Fred, was drawn to Recurly because of its unique technological platform and the market it serves. Because the businesses that implement Recurly in the backend of their billing process run the gamut of size, customer base, and product offerings, Recurly needed to be flexible enough to work well under any circumstances. Clarifying complexity has always been a main focus of Recurly, which is why, as the company has grown, Fred says it’s continued to provide “always available and super responsive” customer support. Recurly serves subscription-based businesses by operating under core values that keep them ahead of the curve. One of the biggest departments within Recurly is product and technical development. That’s the team that reiterates the backend of the software based on user feedback to ensure it meets the needs of the businesses it serves. Fred also described how easy Recurly is to use, and not just from a developer standpoint, but for anyone in the company needing to make notes, create new subscription plans or coupons, and even customize discounts to individual accounts. The advanced technology of Recurly was another aspect of the company that caught Fred’s eye as he was deciding to come onboard. “The technology that this is based on is in sync with what’s going on in the market with how developers are creating solutions and how solutions are evolving,” says Fred. In a recorded Recurly platform demo, you can see how the most frequently used features are at the forefront of the user interface so businesses don’t have to sort through multiple menus to make regular adjustments. The update came as a response to feedback Recurly received on the user interface. The demo shows how every activity a business user makes is documented, which means whenever an audit arises, account details are properly notated automatically. Additionally, there are three levels of service from small business to a customized enterprise plan, which can be billed month-to-month or on an annual contract basis. Recurly offers businesses an all-in-one solution for recurring billing, single-screen payment processing, webhook tracking and responding, and customizable integrations for communications and marketing. Since its inception in 2009, Recurly has been working to provide businesses the tools they need to grow and thrive. Part of growing a subscription business includes analyzing where you may be losing money. Fred tells us the two primary detractors of subscription businesses are churn, or attrition rate, and fraud. The example he provided was if the credit card you have on file for a customer expires or the data (like a billing address) changes, and you don’t have automatic updaters or retry logic, then you can end up losing 3%-7% of your revenue to churn. Fred says Recurly has added layers of support to catch churn before it happens — a process his team refers to as revenue recovery. Because fraud has become such a massive issue as more services move online, businesses can rest easy as Recurly is Payment Card Industry Data Security Standard (PCI-DSS) Level 1 compliant. Recurly businesses can even integrate their account with Kount, the ecommerce and credit card fraud detection platform, to provide broader protection against chargebacks and detect other fraudulent activity. Whether you ship your customers cool stuff each month or let them binge-watch their favorite shows, Recurly provides the data and the functions you need to seamlessly keep track of all the moving parts of your business. In addition to its partnership with Kount, Recurly has developed integration partnerships with industry brands, providing customer relationship management (CRM) via Salesforce, email marketing through MailChimp, accounting management with NetSuite, and tax automation thanks to Avalara. Through customizable integrations and the bespoke software Recurly offers as a service platform, subscription businesses can be, as Fred puts it, both operationally excellent and administratively excellent. 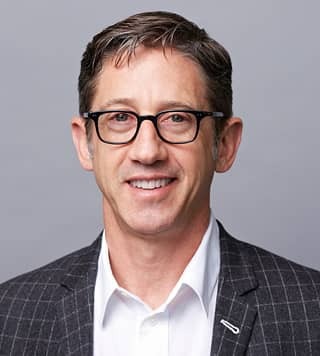 “We’re growing very fast and evolving our solutions to satisfy the core functionality needed to run subscription businesses, but beyond that we’re also realizing more of the dream Dan had,” Fred says, reiterating Recurly’s lofty goal — to provide a prescriptive framework for businesses to optimize subscription revenue by making their customers more satisfied and happy.